Artificial intelligence (AI) and machine learning (ML) are everywhere. From self-driving cars to smart home devices, there is tremendous excitement for the potential of these technologies. However, operational challenges remain. According to research from McKinsey Global Institute, only 20 percent of companies have deployed at least one AI technology and only 10 percent have deployed three or more. Furthermore, out of 160 AI use cases examined, only 12 percent had progressed beyond the experimental stage. But successful early AI adopters report profit margins that are 3 to 15 percent higher than industry average. So, for the 88 percent who have not put ML into production, there is a great deal of untapped potential. Managing ML (and other forms of AI) in production requires not just mastery of data science and model development, but also the mastery of MLOps, which is the practice of ML application lifecycle management in production. A holistic approach to MLOps is critical to AI business success, and a key component is the health management of ML applications throughout their lifecycle. What makes ML applications challenging from a health management perspective? ML pipelines are code, and as such are subject to similar issues as other production software (bugs, etc.). However, the unique nature of ML generates additional health concerns. ML learns and then predicts based on what was learned. Unlike other more deterministic applications (such as databases, etc. ), which have a correct answer, there is no a priori correct answer for an ML prediction. An ML prediction is the application of a learned model to new information. 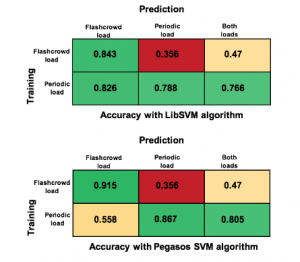 An ML model is only as good as its training. A recent example from MIT shows how an AI program trained on disturbing imagery can see similar images in whatever is presented regardless of context. Training on data with hidden social bias gives rise to models that imitate this behavior when making predictions. To further illustrate this issue, we describe an artificial experiment where a well-established and classic ML algorithm (Support Vector Machines) is used to predict SLA violations from a publicly available dataset. Figure 1 shows how the algorithm, trained on different workload patterns, behaves when shown other patterns that were not part of its training experience. When incoming traffic looks like training data, the algorithm does well. When the incoming traffic pattern deviates from training data, the algorithm struggles and predictive performance varies. While entertaining, these examples also illustrate a key problem. For organizations to reduce risk and optimize ROI for production ML, they need to ensure that ML predictions are of acceptable quality, and monitor/maintain this quality throughout the application lifetime. This ongoing quality management is the ML health portion of MLOps. Given the above, even traditional software issues (such as bugs, and faulty updates) can be difficult to find and diagnose since outcomes are non- deterministic by default. More advanced AI techniques (such as Reinforcement Learning, Online Learning, etc.) further exacerbate these diagnostic challenges since these models themselves will change due to unpredictable incoming data, making it even harder to separate legitimate concerns from expected algorithmic behavior. Left unresolved, these issues can lead to business loss, bias concerns , or even health and life impact, depending on what the ML algorithm is used for. We advocate for ML Health management as a focused part of an MLOps practice, that is as important as deployment, automation and other operational areas. Managing ML Health requires combining traditional practices for application diagnostics (performance monitoring, uptime and error monitoring) with new practices focused on detecting and diagnosing the unique issues of ML applications. 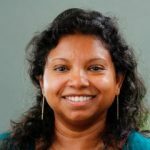 Nisha Talagala is co-founder, CTO and VP of Engineering at ParallelM. 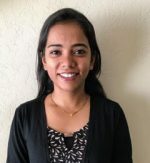 Sindhu Ghanta is a research scientist at ParallelM.